Which one of these is better if you're purpose is for a customer to print an in various sizes of thier desire. . . ? would it be Bicubic smoother (best for enlargements) ? or just Bicubic? I usually uncheck the resample box, check the scale styles box , hit the bicubic smoother in the drop down and adjust my ppi to 300 and hit ok. . .
My own preference is the "2x2 Cubit Smoothie". I did a nice shot of an ark some guy built recently using that technique. Conventional wisdom dictates "Bi-Cubic Smoother" when you upsample, "Bi-Cubic Sharper" when you down sample. Bicubic alone was the old way of interpolating; not really used much anymore, so use one of the two I mentioned. Be careful with "Bi-Cubic Sharper" as it sometimes will over sample an image with well delineated contrast. upsample / downsample = bigger/ smaller?? I've learned in other photography classes that you are to unclick the resample box while in that resize image box , is this true in the real world? I am conflicted over that as well. Because when I dont click it and then I input 300 ppi my files are huge. I imagine there is a such thing as too big so I dont know if that can trip me down the road? Resample has been removed from many newer editing programs as it is not necessary in digital. Back in the day when people scanned images, it was useful. When making your images bigger, with resample (ON), you are "adding" pixels that are not really there. The software "finds" similar pixels and adds them. This is called interpolation. Going smaller, (resample) won't cause harm as all you are doing is removing rixels, going larger, it will degrade image quality. okey dokey Pete, Thanks a bunch. So it's not a problem for the file size to be rather large (6-9mb) ? When I uncheck resample (I have CS3 and it has this option) and punch in 300 ppi it creates a large file. I'm curious though; what is the PPI straight out of the camera? Pete your gallery is really nice. 72 DPI does not sound correct as a native resolution. Email me...I'll look at one of your photos. Something seems amiss. PPI of an image coming out of the camera is really arbitrary. The thing that matters is the pixel dimension. If you have an image that is 3000x2000 at 72 ppi or 288 ppi (4xs the ppi) you still have the same image information it is just allocated differently. Allocation can change without actually resampling. Different bicubic types refers to the amount of sharpening applied when the resizing occurs to snap back some of the detail that is compromised. Detail is compromised whether you upsample (interpolate) or downsample (decimate). I still use the vanilla bicubic for upsampling as I can apply more sharpening if I want...and often my methods will be better. I actually like bilinear for downsizing, myself, as it resizes without the sharpening which is not always necessary when making an image smaller. About what is going on when going from 72 to 300 ppi, you are making the image more than 4 times the original size which is generally not recommended. You won't have a disaster, but you are introducing pixels so that more than 75% of the image will be made up (interpolated). That seems like a bit of a compromise to me. instead of just resizing to 300ppi, figure out the pixel dimensions you need and use that instead. "About what is going on when going from 72 to 300 ppi, you are making the image more than 4 times the original size which is generally not recommended. You won't have a disaster, but you are introducing pixels so that more than 75% of the image will be made up (interpolated). That seems like a bit of a compromise to me." Now you have me confused Richard. This is why I said 72 PPI native resolution coming from her camera does not seem right. Upsampling will interpolate to the point of some serious image degradation. Most DSLR's should be outputing around 300 ppi, so any upsample from that point is not so drastic. My camera for instance at it's "large" setting is 2848x4288 Pixels. This equals a native print size of about 9.5"x14.3". If I downsample to 72 PPI the size increases to 39.5"x59.5" with unacceptable image degradation. So I don't see how you can say the PPI driven from the sensor is arbitrary? The application of the pixels and assignation of the number of pixels per inch is completely arbitrary -- not at all dependent on the sensor. If you have 2848x4288 pixels at 300ppi, you also have 2848x4288 pixels at 72ppi -- they are just supposed to be used differently. I say supposed to be used as different media will use the image information in different ways. For example, if you place a 300ppi image on the web, a web browser won't care at all what the ppi is...it will just lay out the pixels as it wants to use them. Photoshop could assign 1, 72, 300, or 5000 ppi, and the image will still always have the same amount of image information...measured by the total pixels. the assignation of PPI is a recommendation as to how the image information should be used that may well be ignored. Images that come off my camera open at 72ppi...switched to 300ppi without any interpolation, the image is exactly the same it is just at a more generally accepted size for print (which, in actuality, may be too high for many modern applications). assigning the ppi may make more or less sense depending on how you use the images, but it is really arbitrary unless you assign it for a purpose. gregorylagrange.org Maybe you all need the goat analogy as an example? Let's use grains of sand as an analogy. OK, now, if I place these 6000 pixels on a one inch square at 300 PPI, I have a pixel density. Yes? That is now 300 PPI. Yes? What if I change this density so I now distribute 6000 pixels at 72 PPI? It seems to me at 300 PPI you have better resolution in final print. My sand analogy would be like having (x) amount of total sand (pixels) to be laid upon one inch square. Would it not be higher resolution on this one inch square if I use 300 grains of sand compared to 72 grains of sand? Hey Amanda...and guys. Scott Kelby recommends a method for enlarging photos and it is to use Bicubic Sharper...so there. I've tried it and it worked with an old Canon 10D photo to 24x30 flawlessly. Kelby schmelby...ask him WHY. He doesn't know. I'm not saying you should print at 72ppi, and never did. The lowest I think I ever printed was 90ppi and it was to a plotter of some sort -- at the time the requested ppi for the device. I've used 1000+ for slide reproduction. It really depends on the purpose and the output device. I am saying that if the image shows up in Photoshop at 72ppi off the camera, it really doesn't matter -- and it is completely arbitrary assignment of ppi as the camera doesn't know what you want to do with the image. If you want to print with 300ppi, change the ppi when you purpose the image for output (a last step, not an 'off the camera' step) using no resampling as it will not change the image information. Image information is only changed (when resizing) if the image pixels are resampled. [Though much of the time 300ppi is overkill, anyway.] The number of pixels you need will vary by printer type, and 300 is in no way optimal for all output. "2000x3000=6000 Pixels Yes?" No. you have 6,000,000 pixels. That is 6 MP. "if I place these 6000 pixels on a one inch square at 300 PPI, I have a pixel density. Yes? That is now 300 PPI. Yes?" No. If you have 6000 pixels and you put them in a 1 inch square, you have 77 ppi (77x77 pixels). If you have the 6,000,000 pixels you should with the original example, and you put those in a 1 inch square you have 2450 ppi (2450x2450 pixels). However, if your image is 3000x2000, you would not fit them in a 1 inch SQUARE. you would either have 2000x2000 pixels with 1000 falling outside the square, or 3000x3000 pixels with fully 1/3rd of those made from interpolation (and image distortion). I guess my answer to what happens if you place 6,000,000 pixels in a 1 inch square at 300ppi would be that you have either 90,000 pixels (300x300) with the rest decimated because only 300ppi of the 2450ppi gets retained, or you have the density spill into other pixels and get an image that is roughly 8.16 x 8.16 inches...in other words, 6000000 pixels don't fit in a 1 inch square at 300ppi. a 300ppi image always has 90,000 pixels in each inch (300x300). 300ppi is a higher resolution than 72ppi, yup. more is not always better, and the assignation of a ppi on the camera doesn't matter in the slightest to the actual pixel count or how the pixels are finally used. You should control that. A 10MP camera is 10MP in 300ppi or 72ppi and retains the same image information and pixel count. The ppi is an arbitrary assignment UNLESS you have a reason to choose a specific ppi and the device recognizes the parameter (a printer will, a web page won't). I'm sure goats would be entertaining, but I think you'll find this is pretty much right on. "2000x3000=6000 Pixels Yes?" No. you have 6,000,000 pixels. That is 6 MP." Heh-heh..Ya got me there...my math is poor in the wee hrs of the morning. I'm not too worried about the math, as anybody can have a moment where it adds up wrong...but does the explanation make sense? I tend to integrate more than one concept at a time (i.e) Sensor pixel density, size, pitch as it relates to native output resolution. Another discussion for another time no doubt. The explanation makes sense Richard, but I'd also try the Bicubic Sharper once to see if it works...it did for me like magic. Magic can do amazing things ie. David Copperfield scored Claudia Schiffer & finally Chris Angel scored Playmate Holly. Bicubic Sharper works if you are using it on the right images. The other option is Bicubic and adding sharpening manually if it needs a little extra. BS is convenient, and that's why Kelby uses it...whether he knows it or not. wait, was that a pun? gregorylagrange.org Goats would've said the same thing, maybe quicker. 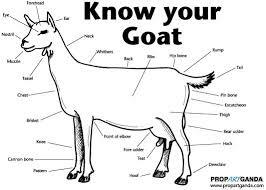 Do you have an example of goats? Does this have to do with a barnyard? Conventional Wisdom (tm) sez to use Bicubic Smoother when up-rezzing (increasing the size, in MP, of an image, to print larger at the same dpi) and Bicubic Sharper when down-rezzing (decreasing the size, in MP, of an image, to print smaller at the same dpi). I've found that, with Bayer sensor-based images (from most digital cameras, like my Fuji F30 or my Pentax K20D), if I want to down-rez for, say, putting an image on Better Photo, I'm better off using Bilinear in Photoshop instead of Bicubic Sharper; I get much better/sharper results. Richard is right when he says that dpi in and of itself doesn't affect the size of an image... 4500 x 3000 pixels is a 13.5 MP image regardless of the dpi setting. However, the printer driver will look at the dpi setting and 'scale' the print accordingly, so a 4500 x 3000 pixel file will print 10" x 15" @ 300 dpi, or 20" x 30" at 150 dpi. Obviously, the denser image, in terms of dpi, will show more detail; that's why larger negatives (and denser digital image sensors) deliver more detailed images. Re up-rezzing techniques, I find that enlarging images repeatedly by a small amount, say 10%, actually does a worse job in that it introduces resizing artifacts in the form of a grid pattern. Far better to upsize once to the size you want, and be done with it. I've also found that, when up-rezzing up to 100% (2x), pretty much any resizing algorithm, e.g., Bicubic, Lanczos, etc., works about as well as any other. Once you go larger, however, I've found that Lanczos or S-spline algorithms provide much better results. Experience & Sense (my own trademark and sensibility in around 20 total years of digital imaging, including pre-Photoshop) says that you sharpen after resizing up to try and enhance the edges you lose in the interpolation when you upsize. Interpolated pixels are, after all, just a calculated guess between one pixel and the next. How much do you sharpen? There is no scientific measure of exactly what works in an image. Images with different qualities (e.g., different inherent sharpness, different business or level of detail, different local contrasts) will require more or less sharpening for optimal (and subjective) results. The best way to go about it if you see the logic here is probably to use Bilinear and then apply Unsharp Mask manually -- or even use other sharpening processes -- but the presets do allow a convenient choice of sizing and sharpening at one step. As it stands in this string of logic, Bicubic Sharper is probably the least likely of these to produce the best results consistently because you are forcing the highest level of sharpening regardless of content...though how appropriate that is may depend on the types of images you shoot. Smoother may actually be a better choice, IF you make a practice of following up with a determination of whether you need additional sharpening, but then it is little different than choosing Bilinear. If, on the other hand, the original parameters for Bicubic still apply and there was a sensible reason for the choice (and I think it would be a good assumption to assume there was as they only made one), then it is likely that those parameters still apply and that plain ol' Bicubic is still a solid all-around choice. Someone's preferences may be different, and the Smoother or Sharper may appeal to them, but personal preference of someone else is not really a good way to decide what looks best in your own images. On the other hand, often people think new settings (or new tools or new features) have to be better than old because they are new, and they flock there, spend more, and get less. In truth, none of the settings are right. If there were a "correct" choice there would only be one. While upsizing has a tendency to soften, downsizing does not. Even using Bilinear, which uses no sharpening, can make an image appear sharper -- or at least as sharp -- when downsizing/decimating pixels. Edges should naturally get tighter and require less sharpening as pixels are removed in the process of decimation. So I really really wonder about 'conventional wisdom', and their suggestion to go the other way and use the sharpening type with the greatest amount of sharpening where it is least needed. Experience & Sense says otherwise. As far as incremental sharpening...the difference between upsizing 100% all at once or in 10 steps of 10% (beside the second result ending up significantly larger, sort-a like compounding interest) is that the sharpening for the chosen resizing type will be applied multiple times, or at each resizing step -- compounding the sharpening. Gradual resizing in that sense may be better for the sake of retaining fine details, but it is also, as John suggests, much better at retaining (or enhancing) noise and and JPEG artifacts because of the enhanced sharpening. In gradual resizing, you may want to use bilinear with much lesser, customized sharpening (via Unsharp Mask) at each step for the best results. There is really sense behind all of this that helps reduce the clouds of opinion. Hopefully I've clarified the air a little more here. gregorylagrange.org 1000 goats as they come out the trailer, or 1000 goats when they're in the pen, they're still the same goats. They don't change. Once they're in the pen, pull the sides of the pen in on itself, all the goats get squeezed together for a higher goat resolution. But it's still the same goats. Build a bigger pen, and try interpolating the goats for the sake of making the pen look crowded with a certain resolution, then you start to run into problems with the quality of milk and sweaters you can get from the fake goats. Who are you, Larry the cable release operator? Interesting idea about the goats, though. You only start with so many goats. I think, like they did in that novel by Faulkner, you can inflate the goats, like they did to the horses, by getting a tire pump up under the skin to make them look bigger...at least for a little while. Still not sure it explains interpolation completely, though, as the goat example doesn't include resizing, which might mean cloning or slaughtering...it isn't really all just stuffing what you have into a smaller or larger space. gregorylagrange.org You can understand duplicating pixels from the real deal through some fancy math, but you can't understand duplicating goats from the real deal? Thanks Bernard, I was hoping that came off not quite too billy-goats-gruff. And speaking of goats, I get the idea of it, Gregory, I think, but wonder if science is really as satisfied with the results of cloning as they are with the theory that was behind it...and without enough RAMs the interpolation may take a long time. I sometimes wonder why you've chosen goats rather than chickens or pigs, or really worms in a shoe box (which would split easier than a goat and don't need as much RAMs). But now this may be on the verge of getting a little too colorful. Do you use Hue/Saturation, or some other method? "instead of just resizing to 300ppi, figure out the pixel dimensions you need and use that instead." but if you do this then you have to leave Resample image checked.. .
so say, I have input 3600 X 2400 (or vice versa depending on orientaion of the image) in the pixel dimensions - you can't do that unless the above mentioned is checked. . . is that ok? I am currently resurfing through my 2 classes' notes . . I just got back into all of this a short bit ago, had to take a break for a rather large move to Japan. . . :) YIKES! but im back in the game . . :) and re reviewing. . . I accidentally didn't say, but of course when I change the pixel dimensions I also change the PPI to 300..
You may need to resample an image to get to 300ppi at the size you need. It depends on what you need and how many pixels you start with. However, just resizing by default to 300ppi from 72ppi is not recommended...you'll add 4-times the information to the image and it may be a ridiculous size. Lets look concretely. I have a Sigma SD14 which has a resolution of 4608×3072 (let's not get into the argument about different sensors). At 72 ppi that is 64" x 42.6"; at 300ppi that is 15.36 x 10.24. If I get the original image into Photoshop and it arbitrarily assigns 72ppi, I can change the PPI to 300 without resampling and still print as large as 15 x 10. if I did the same with resampling on, the image would balloon to 19200 x 12800 pixels...and sure, I could print at 64x42.6 @ 300ppi, but fully 3/4ths of the pixels in the resampled image would be fabricated. The file size would also balloon to many times the orignal size. This is likely not the best way to handle your files. Steps need to make sense. If I want a print that is 30x20, and the printer has an optimal range of 240ppi...I need 7200 x 4800 pixels. I know I have 4608×3072, so I have to resample up to that size. When resampling up, I need to be aware that I will be adding pixels -- and in this case a significant number (40%). I will want to take steps to add sharpening to counter the interpolation -- whether I do that with bicubic settings or other resampling and a combination of that and sharpening. if you only need 240ppi and you resample up to 300ppi just because you hear someone blabbing that it is what you need to print (in most cases you will not need as much), without consulting the manufacturers or coming to some other sensible conclusion, you would be adding even more image information (an additional 10%), and getting nothing in addition from it in the result (the result will likely be different, but arguably not at all improved). More likely than no it is best to use your original image information rather than blindly interpolating or decimating original content. Details do not magically re-appear and image quality does not necessarily improve by resizing. If a device requires 240ppi, giving it 300ppi means it has to do even more resizing (decimation in this case) and you may be doing yourself no favors. Printers need information in a range that is optimal for the way they use the data...more is not always better. This will depend on a number of different factors including the number of print heads, the number of inks, the number of picoliters in an ink droplet, and more variables as well. 300ppi is optimal for halftone printing running at 2540+ dpi and 155 lpi. 300ppi is generally way overkill even for inkjets which claim the capacity to deliver 1440 dpi (though the technologies are quite different between stochastic and halftone printing, as is the way 'dots' are counted, and in some cases randomized and sized -- which means they are not traditionally what is considered 'dots'). Point being, it is not as simple as just saying 300ppi is best. *Make sensible choices, and understand the trade-off you accept in making those choices.